The Quail Lodge Golf Course was designed by Robert Muir Graves in 1963 and offers 6,449 yards of wonderful Carmel Valley golf. This Resort course is located adjacent to the lush Carmel River and encompasses over 830 acres with alluring valley vistas. The 18-hole championship golf course offers a natural flowing typography with 10 man-made lakes strategically place throughout. Golfers will find a range of holes through the sunny meadows that vary in shape while presenting a traditional feel. Accuracy is much more important than length, as many holes are short but require precision placement to attack the green. Wildlife is plentiful during an average round at Quail Lodge, where you may encounter quail, hawks, turkeys, deer, fish, turtles and if you're lucky, even a sly fox. 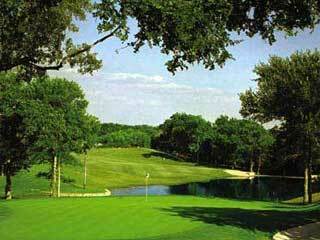 The Golf Club at Quail Lodge annually plays hosts to the Women's State Amateur Championship. Although this tournament is held once a year, the course is maintained to tournament level year-round. This championship course has also been honored by Golf for Women Magazine as one of America's most women-friendly facilities in the United States. 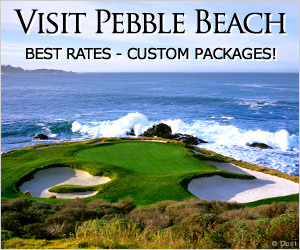 With great weather throughout the year, you will have a wonderful golf adventure no matter the season. 6 miles from the center of Monterey.